August showcases some excellent subtitled foreign films over the next weeks and we dona��t want you to miss out. If you’re looking for a more culturally enriching experience to the usual summer blockbusters check whata��s on and enjoy some of the best films out whilst practising your language skills. This controversial coming-of-age drama follows the life of AdA?le as she experiences freedom, desire and love while growing into a young woman. 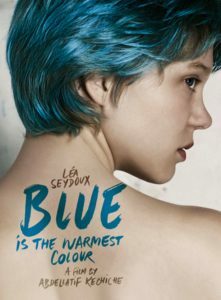 This French film won the Palme da��Or at the 2013 Cannes Film Festival and the jury also awarded the Honorary Palme da��Or to the two lead actresses in the movie (AdA?le Exarchopoulos and LA�a Seydoux). Watch “Blue is The Warmest Colour” in Manchester this summer alongside the short film “Reaching” by Sophia Yeut See. “Your Name” is an animated drama film directed by Makoto Shinkai, also creator of the acclaimed “The Garden of Words”. Mitsuha and Taki dona��t know each other at all, they even live in different places. When Mitsuha makes a wish to leave her small town and go to the capital of Japan, they become strangely connected. Mitsuha dreams she is a high school boy who lives in Tokyo while Taki dreams he is a girl from a village he has never visited. What does this connection between them mean? 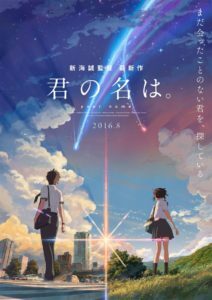 You can watch “Your Name” in several cities such as Bournemouth, Brighton, Liverpool, and London. Meet Harry and Sejal in this Indian romantic comedy filmed in multiple European locations as well as India. 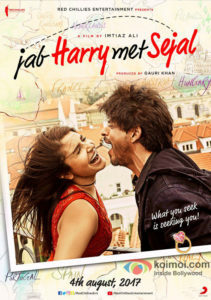 When Sejal loses her engagement ring, Harry, a tourist guide in Amsterdam, decides to help her and ends up involved in a crazy journey across Europe. This search leads them to understand both love and relationships better, and realize what they are truly looking for. Watch “Jab Harry Met Sejal” in Leeds and Manchester. 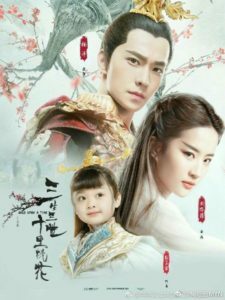 “Once Upon A Time” is a romantic drama based on the best-selling fantasy novel “Three Lives Three Worlds, Ten Miles of Peach Blossoms”. The story revolves around Bai Qian, a goddess and monarch from the Heavenly Realms that is sent to the mortal world. Powerful forces, wild battles, loyalty and eternal love transform her adventures into an epic journey. You can watch this long-awaited Chinese fantasy film in London and Manchester. “The Wrong Move” is one of the critically acclaimed films that form Wim Wenders’ Road Movies trilogy. 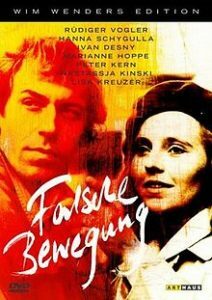 This 1975 German production is a great landmark of European cinema and Wenders once defined it as an example of a�?how to be able to grasp the world through languagea�?. The film reflects the German directora��s interest in angst and self-discovery following the trip of Wilhelm, an aspiring young writer, as he explores his country. Watch “The Wrong Move” in Manchester this August.